Austria is one of those countries that most Westerners seem to blithely skip over as they read the advertisements for traditional vacation ideas like Germany, Italy and France. They may not consider this small European nation, and if they do they are fixated on Austria’s biggest claim to fame. The Sound of Music was filmed here and that was 50 years ago. But this is exactly the point to visiting this country of just eight million people; it is definitely not crowded, it is under the radar and yet it is one of the most beautiful countries in Europe with a stunning history all its own. Located in the middle of Austria is the Tirol region (also known as Tyrol) and embedded in the middle of that is the Natur Hotel and Spa. Here’s the thing about the Tirol region of Austria: It is a verdant valley flanked by the Northern and Southern Alps. This means that no matter where you look there is a sheer panoramic beauty surrounding you at all times. It is this constant visual that is one of the most alluring aspects to the Tirol Valley. 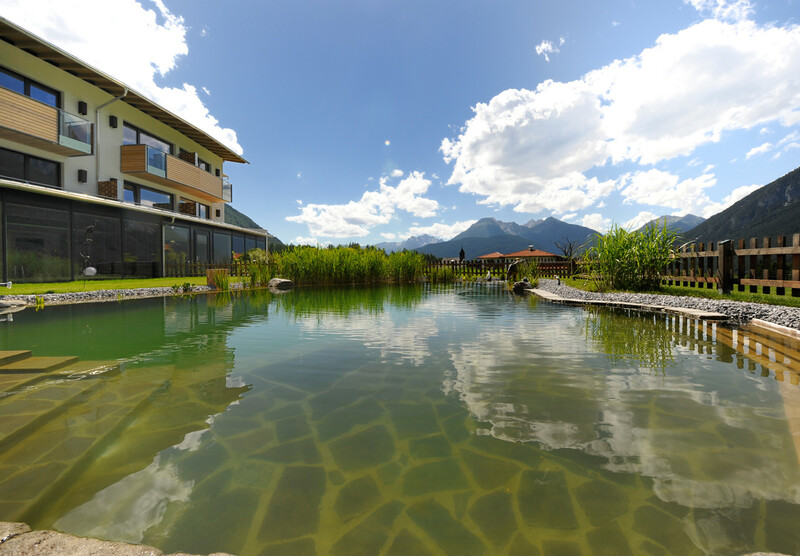 About 45 minutes to the east of Innsbruck, dead center of the Tirol, pretty much off by itself is the little village of Holtzletien, which is home to Natur Hotel and Spa. Off the beaten track is actually the ideal phrase for this stunning property, as this is a European wellness hotel, which means that people come here for detox, rejuvenation, simplicity and relaxation. I had the good fortune to stay here for several days during my visit to the Tirol and this is one of those spots that transcends its very location. It’s important to know that Natur is not really near anything, and though there is a tiny village nearby — a few buildings actually — there are no quick trips to the store, to the movie theatre, jazz club or bar. You are out in the quiet Tirol and the purpose is semi-isolation. Innsbruck, the major city in the Tirol and host to two Olympics with a population of 125,000, can be easily accessed by car and bus. Most people come to this specific location in order to unwind; however a visit to Innsbruck’s beautiful sights and museums, Salzburg (two hours by train), Alpine hikes, and even Stanz, the schnapps capital of the world, is doable for day trips. But staying at Natur mean that whatever activities you do, you come back to the hotel for the express purpose of doing less. Sure, there are plenty of board games in the lobby area and places for quiet conversation or for reading a book, and it’s supposed to be this way; a place with no distractions save for the natural surroundings you are in. The hotel does offer guided Segway tours of the surrounding area, specifically the surrounding meadows and hillsides and this is meant to stimulate you appreciation for your exquisite environment. Natur has 41 rooms, and the prices are the same year-round, so there is never any hassle of trying to get the best deal; food is included in the price, making it even easier. Natur utilizes geothermal heating for the spa, rooms and pools, takes advantage of solar power and embodies the very principals of its name into its physical building. Europeans take spa wellness seriously and your time here is not meant to be a mere stopover on the way to someplace else. This is the “someplace else,” a spot meant for a multi-day stay and the vast majority of guests here stay at least four days. The rooms, which for me were hard to leave, as each has large glass windows facing a large meadow, interrupted only by the Alps. The rooms are designed to capture the impressive views and open to a closeted area for luggage and hanging up your clothes. On the same level is the bathroom, which is also one of the selling points. The shower is enclosed in clear glass, which looks out to the meadow. A step down leads to the bedroom portion and sitting area. With the 10-foot glass sliding door the only obstacle to your views, you can understand why so may people flock here for a rejuvenating experience; the constant views alone are magnificent. Then of course there is the deck, with its short overhang allowing uninterrupted views. Since the bed faces out, every morning you are greeting by the Alps –verdant green in spring and summer, capped with snow in winter. The food mainly comes from local farmers and there are menus written in both German and English. The staff speak English fairly well, though many of the other guests do not, as this is frequented by more Europeans than Americans, which is actually one of its selling points. Travel is not meant to keep us tame and safe; it is meant to broaden our horizons. 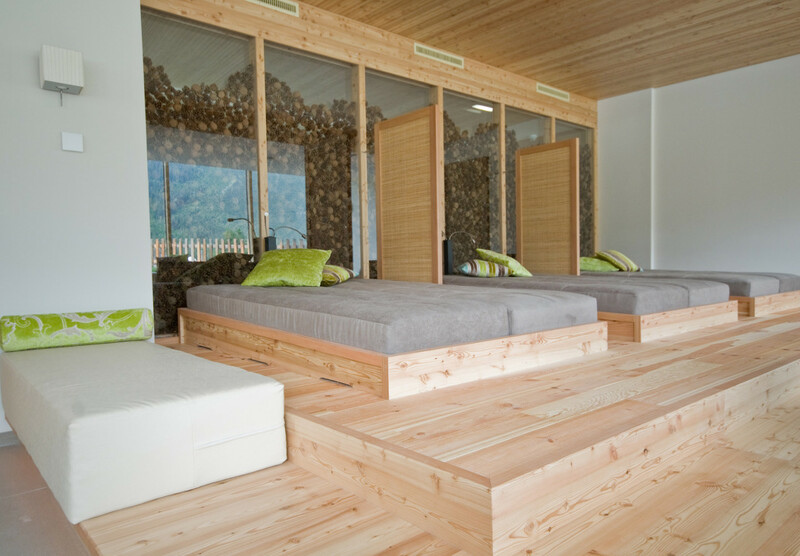 Since Natur is also a spa, specifically a wellness hotel typical of the area, there are massages, dry and wet saunas and two outdoor pools. A semi-circular glass sun room looks to the outdoor pool and separate sauna, and it is here that a multitude of people gather for pre- or post-treatments for repose and calm. One is a typical pool, except that the views are of the Alps. The second pool is actually a natural rocky spring, located at the edge of a vast meadow. What’s important to know is that here, as at many similar properties, clothing is often optional in the pools and saunas (not the property itself). If this remotely bothers you, since it bothers no one else, you might consider not staying here. However it is important to know there is nothing unusual about this and more to the point, it’s more common than you might think. But given the nature of Natur, with wellness as a key point, you can enter the pools and or spa unclothed or, like me in my somewhat modest way, you can keep your shorts on. No one seems to mind either way. 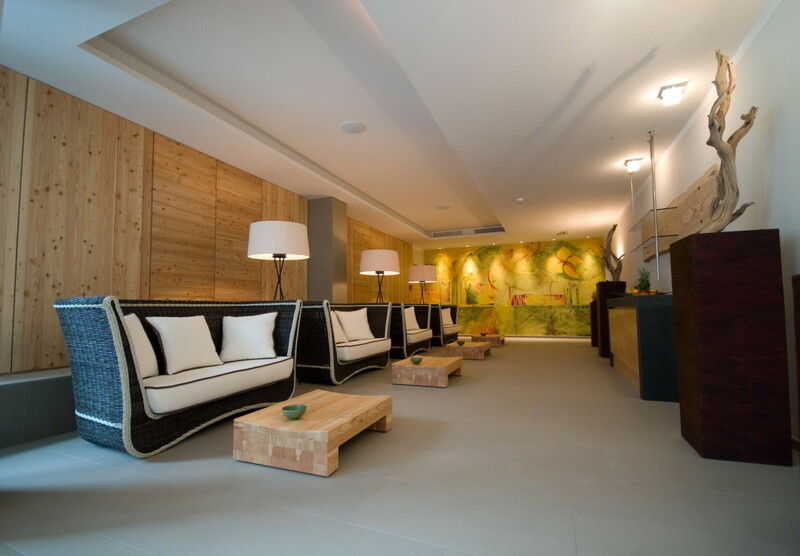 So if you find yourself visiting Innsbruck or any part of the Tyrolean region, a rejuvenating stay at Natur will be well worth your time. And if you are anything like me, you will quickly find that it is one of those properties that you fall in love with without even knowing it — and its enchanting of solitude and beautiful scenery seducing you without your even knowing you’re coming under its spell. 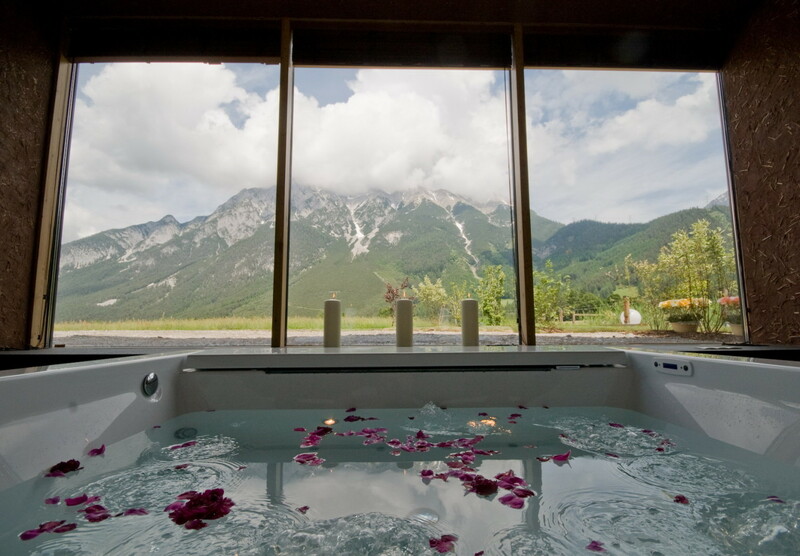 Austria is a gorgeous country to visit and nothing better represents the outdoor feel of this country than a few days at the properly titled Natur Hotel & Spa.